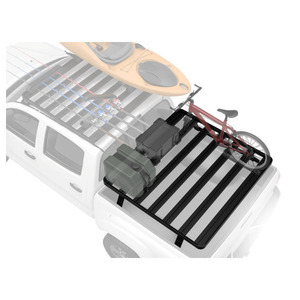 The KRLB002T Front Runner Pick-Up Truck Slimline II Load Bed Rack kit creates a full size rack that sits above your Pick-Up truck bed. 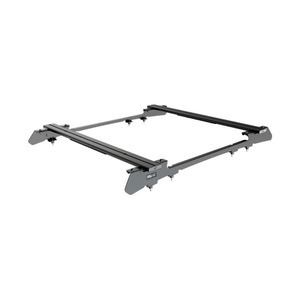 This Slimline II cargo carrying rack kit contains the Slimline II tray (1425mm x 1358mm), 2x Tracks, and 4x Pick-Up Truck Bed Universal Legs that fit into the Tracks. 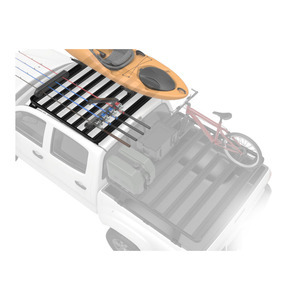 KRLB002T Front Runner Pick-Up Truck Slimline II Load Bed Rack is a Slimline aluminium load bed rack, offering unmatched strength, lightness and aerodynamics by any other roof rack. With the unique patented locking slat system all accessories can be bolted to the flat slats providing the most convenient solution for rattle free, secure, and safe travel. The slats of the rack have t-slots on both sides, allowing the fitting of accessories to the underside of the rack as well. The legs also take advantage of the t-slots, allowing flexible choices for positioning the rack on the rooftop. The legs bolt onto the t-slots in the rack, and firmly secure the rack to the roof top by clamping on to the vehicle’s gutter. STRENGTH: The Slimline II is designed and built specifically for on and off-road use & manufactured with high density aluminium (30% lighter than steel) rated to carry up to 300kg. 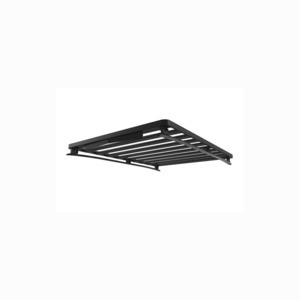 The load support slats fit into a double walled aluminium extrusion channel on the side profiles and are secured via locking nuts, creating a joint support that is stronger than usual for a roof rack. The Slimline II’s L-shaped rear and front slat design increases the strength of the entire rack, making the Slimline II the lightest and the strongest roof rack available, able to carry heavier loads, decrease vehicle wear and improve fuel usage. (*the rack must always be loaded in accordance with the vehicle’s load rating specifications).